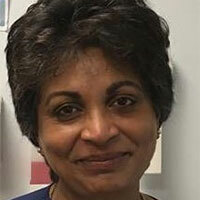 Indira Coomaraswarmy was born in Sri Lanka and grew up in Canada. She completed a BSc (Hons) degree in Microbiology from the University of Toronto in Canada before coming to Scotland for a postgraduate M.Phil degree in Virology at the University of Edinburgh. She fell in love with the city and decided to stay for a further degree in Veterinary Medicine. After completing that, she was lucky to have the opportunity to travel and practise overseas in many countries. The past decade was spent working in small animal medicine in England and she has returned to Scotland now, where she lives with her family and two fabulous cats.